Young, wild and free – a motto we all wish we could live by, but unfortunately, often find it difficult to because of the many stresses of living in Singapore. Between struggling to maintain a good grade – or to pass that horror module – and juggling the expectations of all the people around us, it’s easy to forget how young we are and how these should be the best years of our lives. For the month of July, we celebrate youth. Our youth years should be vibrant, fun and carefree, so let’s bring all that back into our lives! For the entire month, many of the places and experiences we love, or have always wanted to try, will be offering exclusive promos just for youths – thanks to the National Youth Council! This month, let’s live it up at these 7 places. And don’t worry, each of them comes with a super sweet deal. If you haven’t heard of Bounce, where have you been? 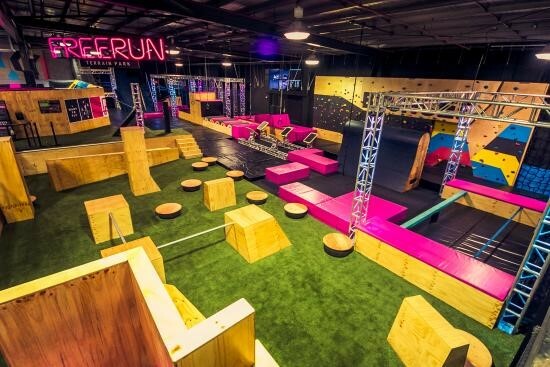 The largest trampoline park in Singapore, this grown-ups playground lets you jump, somersault, do twists and all kinds of crazy tricks! With a variety of trampoline zones and a Ninja-Warrior-like obstacle course, X-Park, test your mental and physical limits at Bounce. 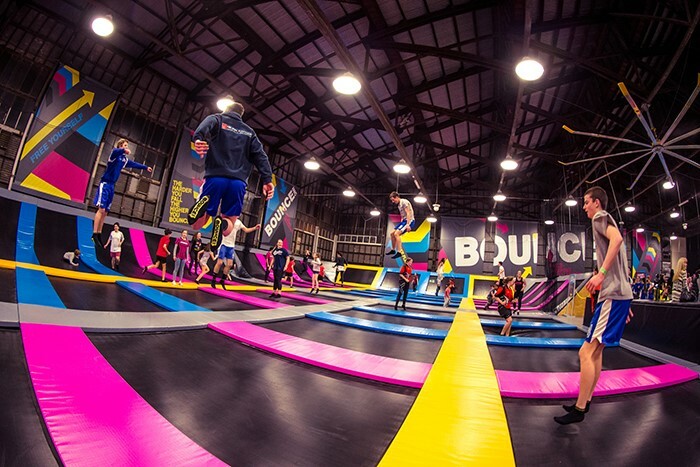 Jump and play to your heart’s content at the Free Jumping Area, a large area comprising 28 interconnected trampolines that includes long tumble tracks and banked walls. Here, you can even defy gravity and run up walls! Looking to try something that pushes your body even further? Attempt the insane X-Park! An obstacle course that combines elements of climbing, jumping and free-running, discover abilities you never knew you had at X-Park. If reading this has got you raring to go, gather a bunch of your best friends and make plans to head down together! Conveniently located at Cathay Cineleisure, put your youthful energy to good use at Bounce. Youth Month Promo: Enjoy 10% off on weekdays throughout the month of July. This promo only applies for general admission tickets and student session tickets. Use this to enjoy your promo. Get creative this July with a material you’ve probably never worked with before – concrete. Started by a fellow youth with a deep passion for design, Concrete Everything doesn’t just sell beautifully crafted homeware in the natural colours and texture of cement; it also conducts workshops teaching you how you can make them! 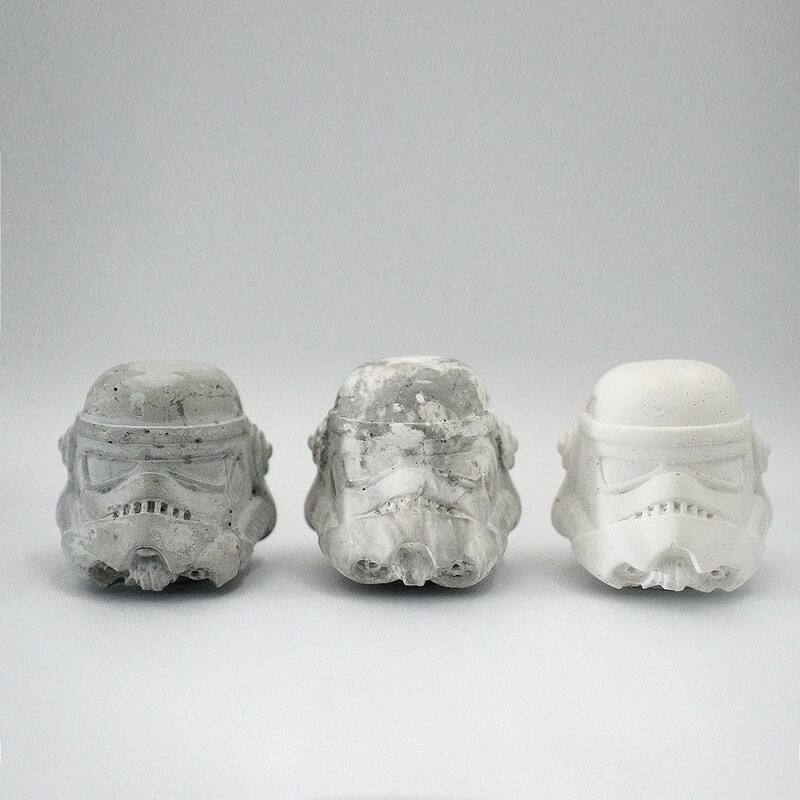 From luxe marble lamps to concrete versions of Darth Vader and StormTroopers, the items on their slim catalogue is a minimalist’s dream. Courses they offer include marbled planter casting, concrete mini stool casting, marble square lamp casting and more. You even get to make your own Vader and StormTrooper! 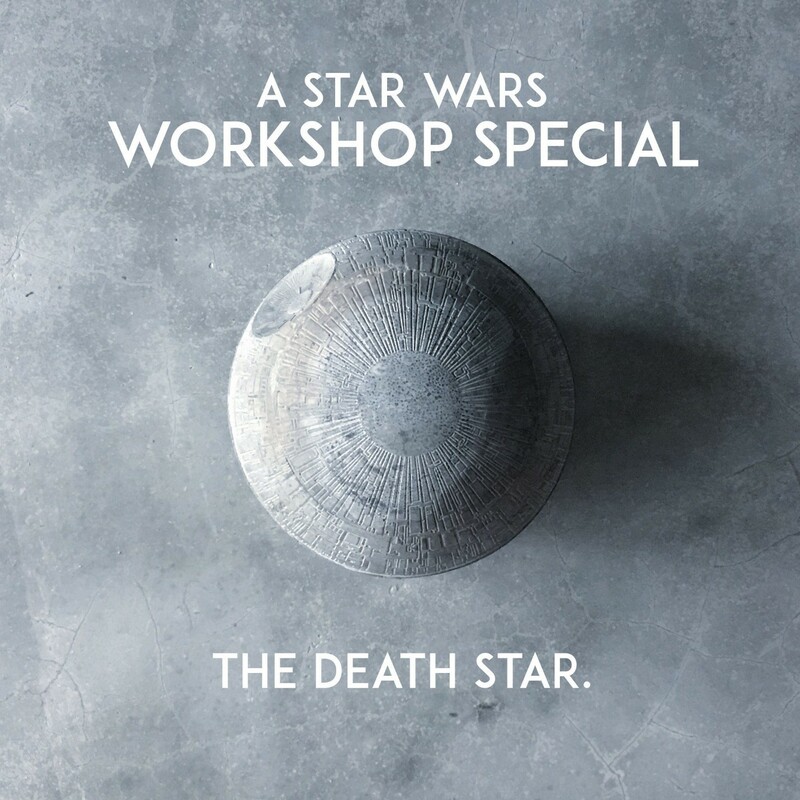 Each workshop will last 2 days, and everything you need to create your own concrete masterpiece will be provided. It’s time to unleash your creativity and get crafty at Concrete Everything! Youth Month Promo: Enjoy 10% off all products and workshops throughout July. Workshops need not fall in the month of July, and need only be booked and paid for during July. Use this to enjoy your promo. 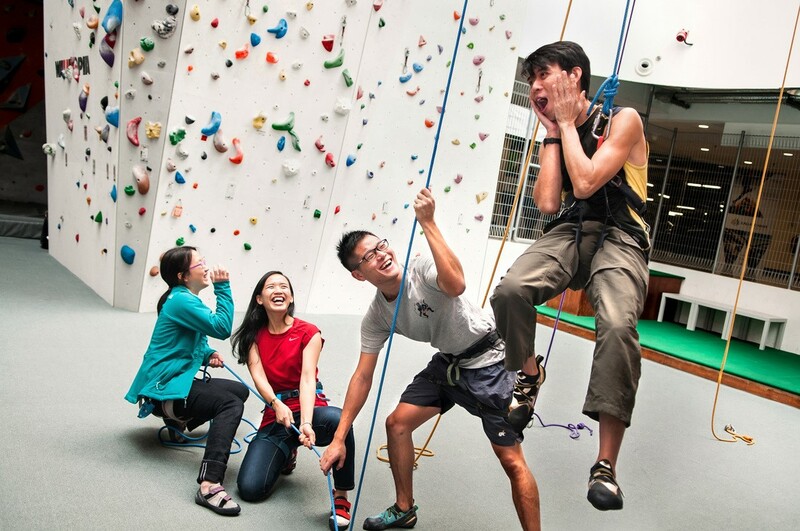 Always wanted to try indoor rock climbing, but find it too expensive? This July, you’ll be able to enjoy the sport without burning a hole in your pocket! 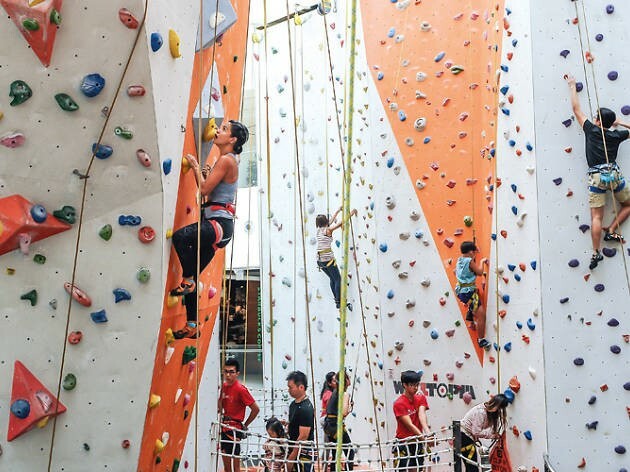 Climb Central is the tallest indoor climbing venue in Singapore, boasting about 1,000 square meters of climbing wall space. Fully air-conditioned, it is conveniently located in Singapore Sports Hub. First timers, you’re in for a real treat because for the month of July, you get a 20% discount on all off peak First Timer Sets. That’s about $7 off the $32 adult entry fee that includes registration, 1 adult day pass and 1 equipment set! What better time to pick up rock climbing that in July? Not just fun but physically challenging, this is also a great way to workout. Grab a friend to go along with you. After all, everything is better when you have your best pals around! Youth Month Promo: Enjoy 20% off on all off peak First Timer Sets throughout the month of July. Valid only on weekdays before 5pm, and excludes public holidays and eve of public holidays. Use this to enjoy your promo. Looking for an experience you’ve NEVER tried before? We bet you’ve never played Bossaball, and boy are you missing out. Don’t know what Bossaball is? Combine volleyball, soccer and acrobatics and you get Bossaball. 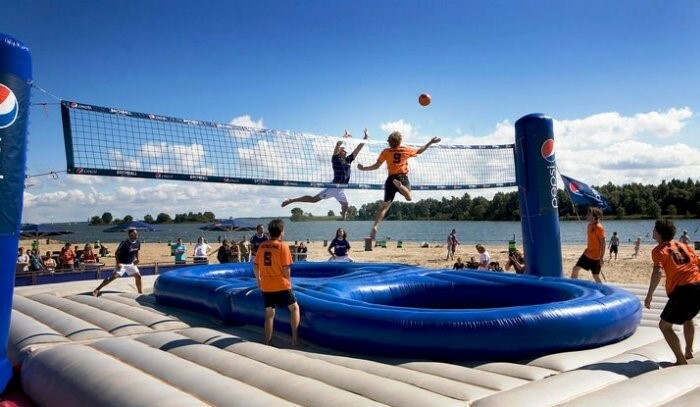 Played on a huge, bouncy inflatable that’s fitted with trampolines, this emerging sport dials your ordinary game of volleyball up ten notches. Played both indoors and outdoors to a chill bossa nova tempo or higher energy samba beats, the music adds to the energy and atmosphere of the unique sport. This July, there will be Bossaball sessions that are open to the public. Youths get to learn to play the game at just $15 per pax (U.P. $20) for a 2 hour session. If you prefer a private game with friends, that can be arranged too! It will cost you $500 for a 2 hour session, down from the usual price of $600. Up to 20 people can play, which works out to be about $25 – not too high a price to pay for a brand new experience! Youth Month Promo: Enjoy $5 off per pax for a public session of Bossaball (2 hr session), or enjoy $100 off a private game (2 hr session). Use this to enjoy your promo. If gorging on delicious food is your idea of living it up, Holy Crab! We’ve got just the place for you. HolyCrab is a cosy restaurant located along charming Tan Quee Lan. 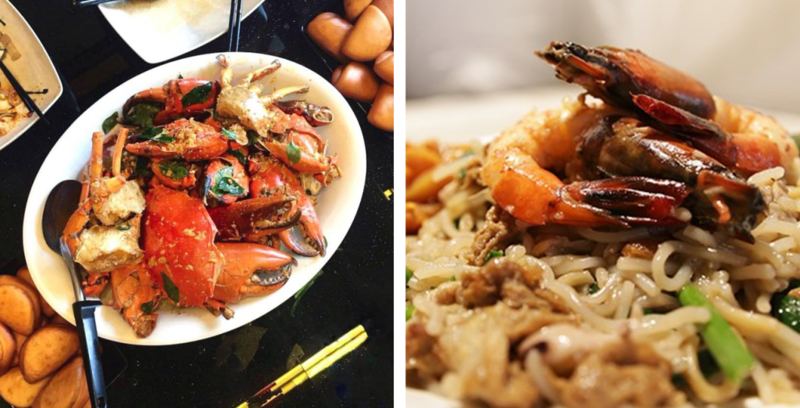 Big enough to seat only 24 people, this diner is always packed with foodies with an appetite for Holy Crab’s next level Singapore-style crabs. Known for its creative, unique flavours, their signatures include the Orgasmic, Balsamic, Succumb and Devil’s Crab. 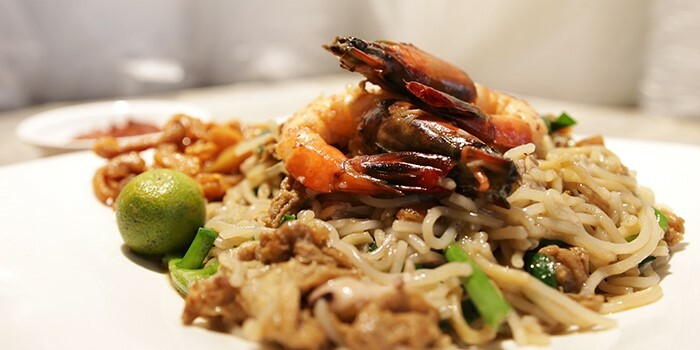 Some of the Holy Crab’s other killer dishes include their Clam Beehoon, and Fried Hokkien Mee, which sells out on a daily basis. 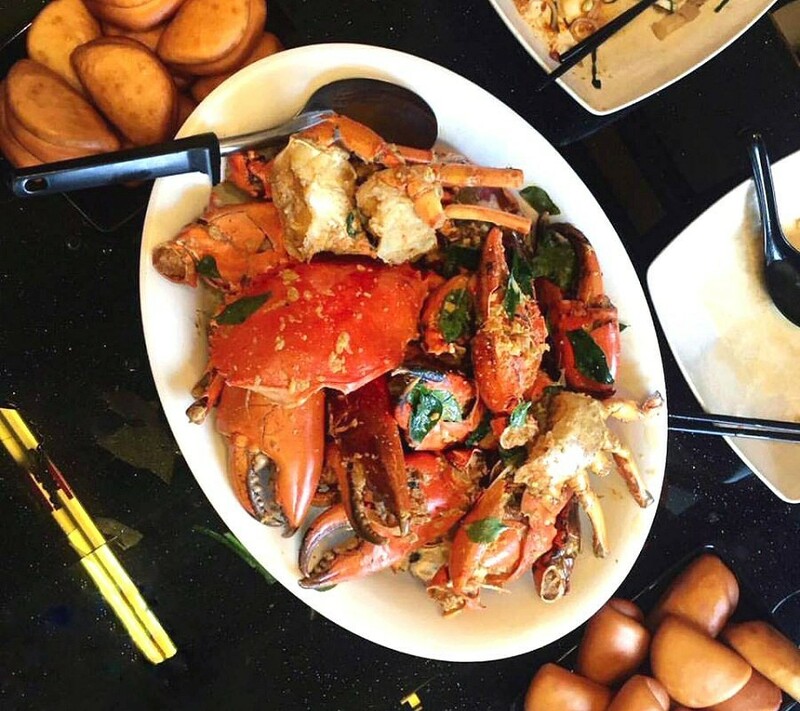 Made with the freshest crab from the shores of Singapore, Holy Crab is the place to go for an affordable plate of quality crab. Youth Month Promo: Enjoy 10% off your total bill throughout the month of July. Use this to enjoy your promo. 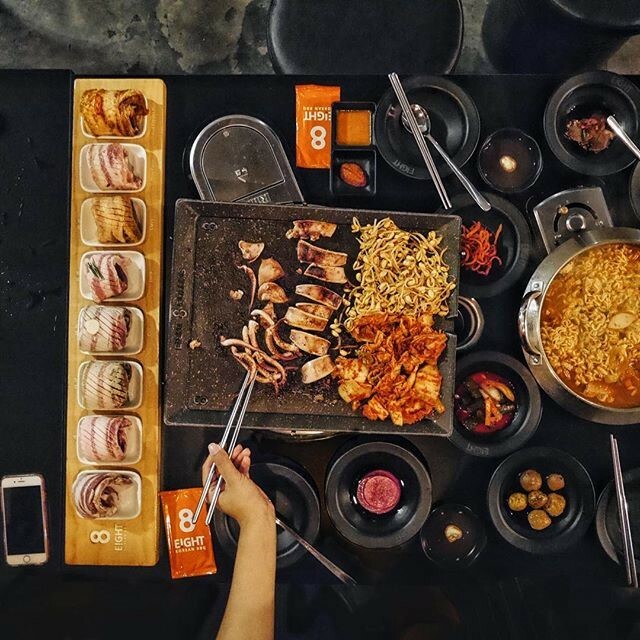 If you love pork belly, you’re in for a feast at 8 Korean BBQ, a Korean BBQ franchise that serves 8 different flavours of decadent pork belly including Original, Wine, Ginseng, Garlic, Herb, Curry, Miso Paste, and Red Pepper Paste. The pork served here is no run of the mill pork, but meat from the Mangalitza Hog, a rare pig of Hungarian origin. This pork is often referred to as the ‘Kobe Beef’ of pork because its marbling is double that of regular pork! A tender, juicy meat that’s seasoned with a variety of perfected flavours, treat yo’ self this month with this unique K-BBQ experience! No list on living it up is complete without at least one watering hole for you and your buddies to knock back a few. 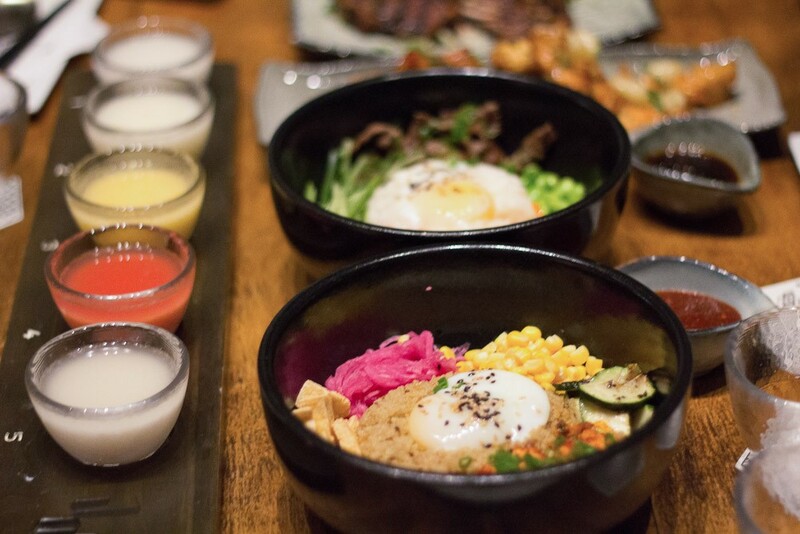 Fans of Korean alcohol and Korean fare in general must check out Joo Bar, Singapore’s first Makgeolli Bar & Restaurant. Located within a heritage shophouse, Joo, which means ‘alcohol’ in Korean, offers modern Korean bites and creative drinks in an edgy setting. The first and only bar in Singapore to brew its own makgeolli (Korean rice wine), here, the alcohol is the main course, while the anju (Korean food meant to be consumed with alcohol) plays the supporting role. 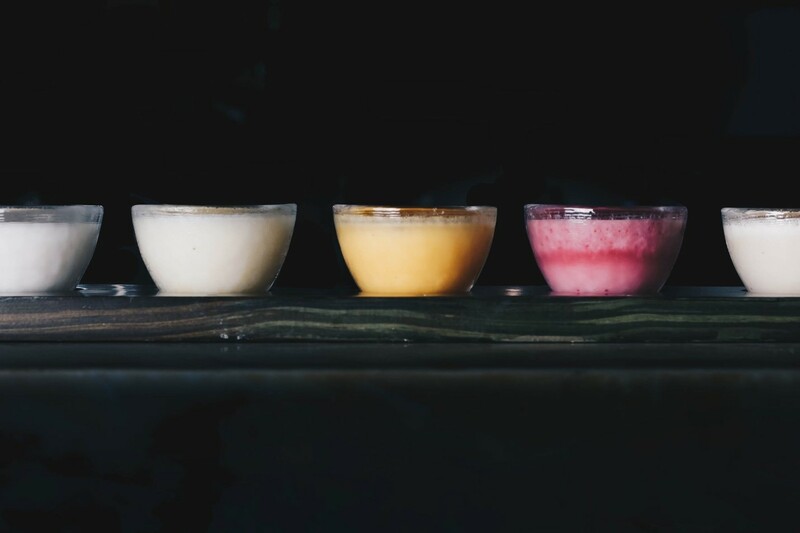 Order their multi-coloured Makgeolli sampler if you can’t decide on just one makgeolli! For a sweeter experience, go for their Makgeolli cocktails! The bites here aren’t shabby too, with tasty finger food like Baby Eel Paper, Warm Kimchi with Tofu and Spam, and more! Drink and eat to your heart’s content at Joo Bar – just make sure you’re 18 and above! This is just the tip of the iceberg. There is a total of over 40 brands collaborating with the National Youth Council to bring you exclusive perks in celebration of Youth Month. With brands like Lazada, Crossfire Paintball, GoPro, Klipsch, The Juicy Way, Udders and more participating to give you great deals, there’s no better time than now to live it up! For all promotions, check out Youth Month Perks 2017. If you’re all about getting good deals and making the biggest bang for your buck, The Entertainer is an app that will make all of that much easier. 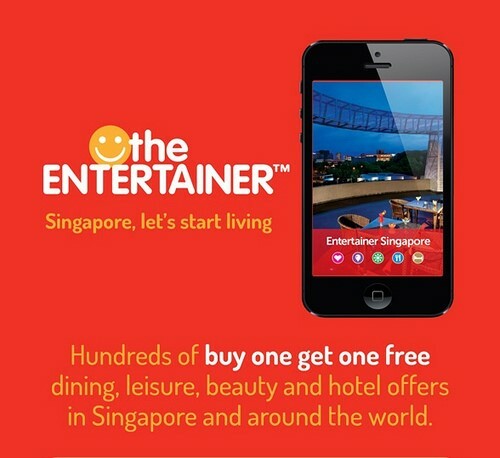 An app that gets you amazing deals on food, attractions, spas and even hotels in Singapore, live it up every month of the year with The Entertainer. As part of Youth Month, you get to purchase The Entertainer app for just $70 (U.P. $125)! All you have to do is use to promo code ‘SHINEWITHUS’ when you download The Entertainer App. You can also purchase the Cheers app (The Entertainer app for alcohol) at a discounted $40 (U.P. $125) when you quote the promo code ‘CHEERSHINE’. Another app that will come in handy in your hunt for some of the best deals in town is the Lazada app, which gives you access to app only deals (daily! ), app only vouchers, and app first updates! With all these handy tools at your fingertips, enjoying the good things in life will come at a drastically reduced cost, making your experiences all the more sweeter! They often say youth is wasted on the young, and that’s true for the most part, especially when you live in Singapore. Let’s not be in such a hurry to grow up. Have fun, live a little, do crazy things you might regret! There will come a time when we must grow up, when we become responsible for other people, other lives, and when the stakes are truly high. But that time is not now. We are only young once, so let’s enjoy ourselves while we can and live a life with no regrets. To enjoy all the above promotions, make sure flash the appropriate e-vouchers to participating merchants, or use the promo code(s) stated within the relevant e-voucher. Make sure to read the fine print for all Terms & Conditions. This article is written in collaboration with National Youth Council.